The Functional and Governor Channels are the first two of the eight extraordinary channels described earlier in this chapter (beginning p.178). 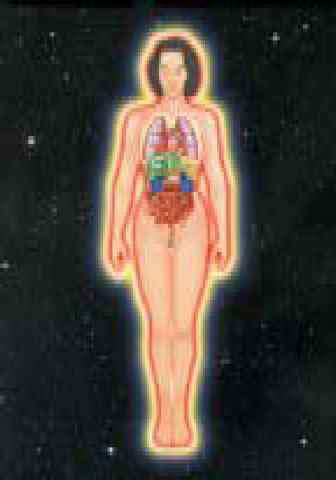 They serve as the reservoirs of yin and yang energy in the body. The Functional or Conception Channel is yin and all of the ordinary yin channels connect to it. Similarly, the Governor Channel is yang and all of the ordinary yang channels connect to it. Wei-Chung BL-40; extra Spirit Energy is stored here. 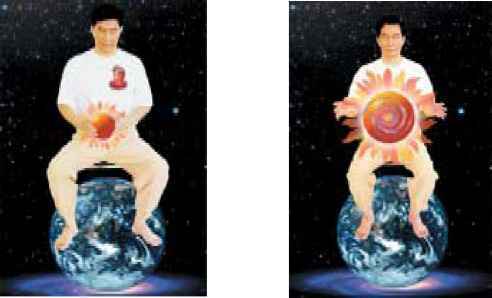 Ming-Men (Kidney Point -Door of Life); Prenatal energy storage safety point. 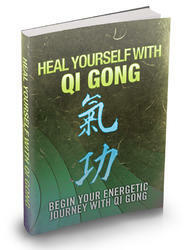 In Part III we also begin to focus more on the sensation of Chi being emitted from our palms. 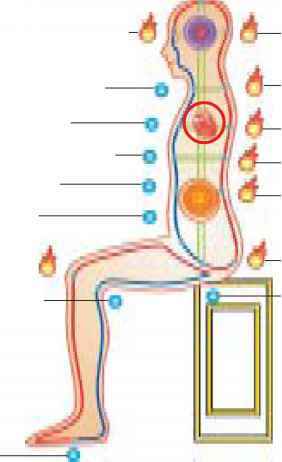 This energy is emitted from the Laogong points primarily, but you can also feel it throughout the palms and fingers. It will feel like a balloon between your hands that is expanding and contracting or like two magnetic fields repelling and attracting each other. 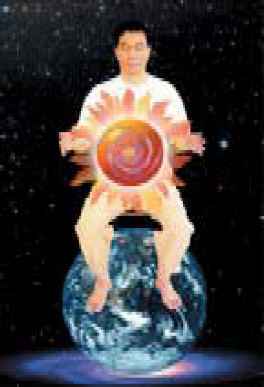 Once you have practiced Cosmic Chi Kung for awhile and have become skillful at it, you may find that Grasping the Chi ball is all you need to do to activate your flow of healing energy before doing a session. As you become sensitive to the sensation of your own Chi, it becomes an easy step to feel the Chi of others. Fig. 8.57 Grasping the Chi Ball. The Opening Movements are the same as in the sequence in Part I, 'Opening to Heaven, Earth and Cosmic Chi', on page 164. A. Channeling the Earth Force - Washing the Bone Marrow Raise arms to chest height - Palms facing each other. Rotate arms until palms face down. Open the Tiger's Mouth - Index finger up, thumb down. Slowly rotate the hands so that your palms face each other in front of your navel. Fig. 8.58 Hold the Chi Ball. Fig. 8.59 Stretch and squeeze it. Feel the invisible ball of energy between your hands. Allow the energy to push your hands apart keeping the feeling of connection between your palms. When you have less feeling stop the palms and hold it there and reestablish the feeling of the Chi ball. Let the energy draw your hands back toward each other, like a magnet, until you feel as if you were squeezing and compressing the ball. Stretch and squeeze the Chi ball three times by opening and closing your palms in this way.